Teagan Alaric Montgomery Lee has travelled through Galaxic space, married the man of her dreams, and gained the loving family she always has needed. However, news of her father’s capture and execution by the Parvac Empire throws Teagan’s life into turmoil. Fearing her Parvac grandfather, General Valen, plans to abduct her, Teagan is desperate to avoid her grandmother’s fate. Never again to see Yukihyo or her family is a nightmare that forces Teagan from the stars to remain on Arachne. 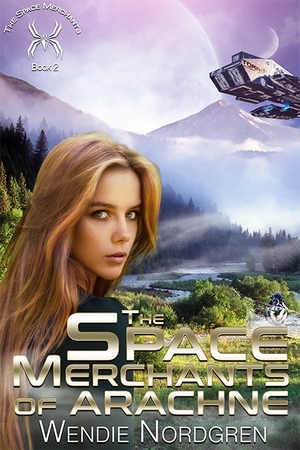 Caught in a power struggle between the Galaxic Government and the Parvac Empire, Teagan’s fate hangs in the balance. Being protected by the Galaxic Militia, her family, and thousands of sentient Arachnean Silk spiders, may not be enough to prevent Teagan from losing everyone she loves.